My Family Fun - Barbie Insulated Lunch Bag Barbie Lunch Bag is perfect for school! Barbie Lunch Bag is perfect for school! The Dual Compartment has two separate compartments for easy storage. 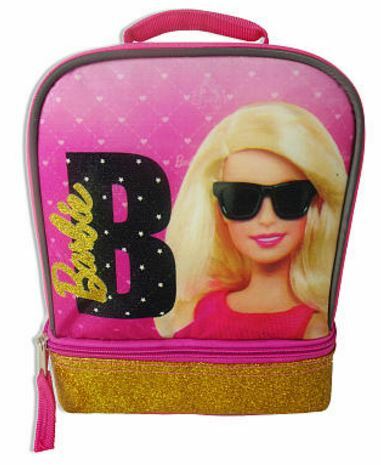 Back to school with Barbie Insulated Lunch Bag. Comfortable padded carrying handle, detailed screen printed graphics and made of 100% polyester.